Sanborn County 4-Hers Aaron Linke, Cannon Zoss, Delaney Zoss and Nathan Linke show off their ribbons. This year marked the 79th Western Jr. Livestock Show, held Oct. 5-8, in Rapid City, at the Central States Fairgrounds. Youth from South Dakota, Nebraska and Wyoming competed in the four-day event in various livestock competitions and contests. Local Aaron Linke, Nathan Linke, Delaney Zoss and Cannon Zoss attended. In the beef show, Nathan received a purple on his Angus yearling heifer. Nathan received this female as part of the Cattlemen’s Family Legacy Scholarship last year during the 2015 Western Junior Show. Nathan’s Junior Angus bull calf received a blue ribbon. Aaron Linke exhibited a purple ribbon Angus yearling heifer, a purple on his Junior Angus bull calf, and a blue ribbon on his Junior Angus heifer. In the sheep show, Delaney Zoss exhibited a second place purple market wether, two blue ribbon wethers, one blue market ewe and a blue ribbon breeding ewe. Delaney made finals for sheep showmanship and received a purple ribbon. Delaney received second place in the County Market Sheep Pen of Three contest with her wether lambs. The goat show was tremendous again this year, with many outstanding exhibits. Delaney Zoss received a first place purple with her breeding meat goat, and first and fouth place purples with her market wether goats. In the senior Livestock Skill-a-thon Contest, Nathan Linke placed first, and Aaron Linke fourth. In the beginner division, Delaney Zoss received third, and Cannon Zoss, fourth. In the Grass and Range Plant ID Contest, Aaron placed first. In the Meats Identification Contest, Aaron received first, and Nathan, second. Aaron Linke was the recipient of the $500 Darrell Bishop Memorial Scholarship. 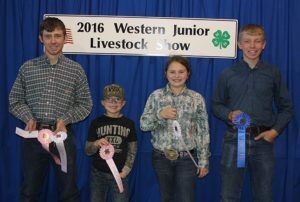 To cap off a great week at Western Jr., the youth involved in livestock judging brought home the gold! For the Livestock Judging Contest, Aaron third, Nathan 11th, and along with team members Talli Heim and Riley Larson, they captured first place senior team honors. Delaney placed 34th and was a member of the champion beginner livestock judging team with teammates Harlee Heim, Carissa Scheel, Raylee Fagerhaug, Avery Orth and Hannah Heezen. Cannon Zoss placed 10th, and along with his livestock judging teammates (Kerstynn Heim, Royce Bruns, and Layce Bruns), captured third place beginner team. Congrats to these youth and their achievements! 4-H offers many different project areas and focuses education on leadership, science, ag-vocacy and healthy relationships. The new 4-H year has begun; for more information on how to join 4-H, contact the local SDSU Extension office or Audra Scheel, SDSU Extension 4-H Youth Program Advisor at audra.scheel@sdstate.edu. …To see more pictures, pick up this week’s issue of the Sanborn Weekly Journal. Myah Selland has been named one of two South Dakota Finalists of the Wendy’s High School Heisman award. Selland is a local basketball star for the Sanborn Central/Woonsocket Blackhawks, but is also active in volleyball and track. Since her seventh grade year, Selland has been a leader on the basketball court and has racked up 1,700 points, 751 rebounds and 411 assists throughout her career. Last year, Selland averaged 23.85 points and nine rebounds per game. 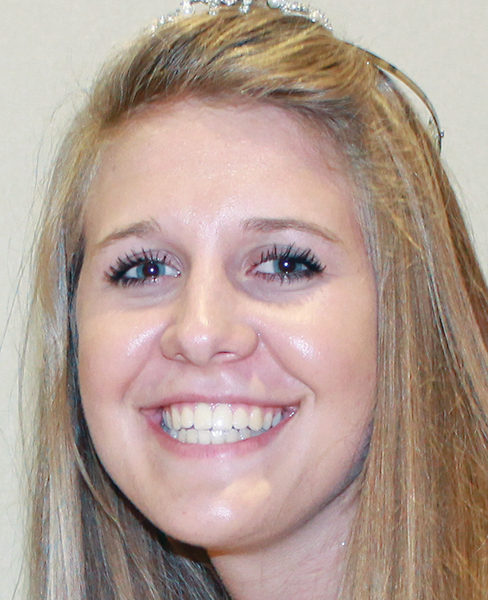 She has helped lead her team to four state tournaments, including a third place finish in 2015. She has committed to play basketball for South Dakota State University, Brookings, next fall. …To learn more about the award, pick up this week’s issue of the Sanborn Weekly Journal! 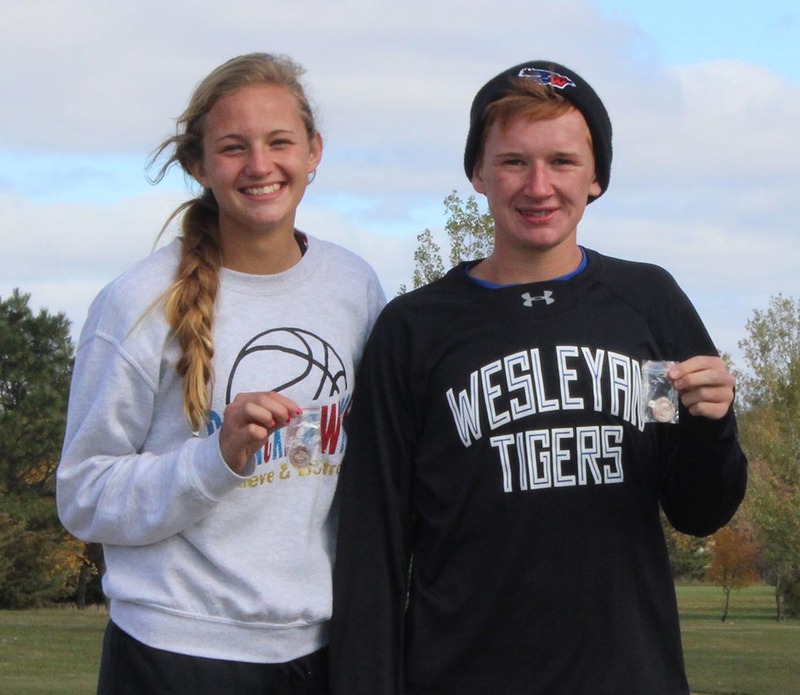 SYDNEY ZELLER and Spens Schlicht were the first runners from the new Blackhawks Cross Country team to earn a trip to the state meet. Two Sanborn Central/Woonsocket Blackhawk Cross Country runners made it to the state meet in Huron this past weekend. Sydney Zeller and Spens Schlicht both placed high enough in their classes at the Region meet to move on to the state contest. Zeller placed fifth and Schlicht, 10th, in the Region race. At the state meet, the Blackhawk runners nerves were showing, so they didn’t finish where they would have liked. Schlicht finished 76th and Zeller, 37th. Other runners who took part in the Region cross country meet were: Brayden Eagle, 11th, (junior varsity); Austin Schmit, 23rd; Braxton Gentles, 38th; Tater Moody, 46th; Trinity Boschee, 26th; Megan Poyer, 28th. The boys team placed sixth out of 15 teams, and the girls fifth out of 12. This is the first year Sanborn Central/Woonsocket has fielded a full cross country team.